India’s National Capital Delhi, and not Bengaluru, is the destination to be for gig economy workers. 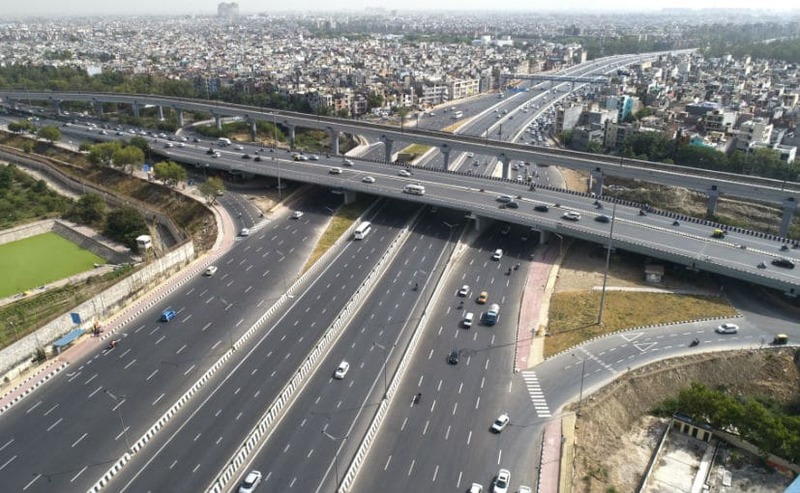 Delhi recently added 560,600 people to its gig economy in the six months to 31 March, an 88% jump from 298,000 people in first half of financial year 2019. The number of migrant workers joining Bengaluru’s gig economy rose 29% to around 252,300 in H2FY19 from 194,400 in H1FY19. Delhi’s population grew by around 1,000 a day in 2016, out of which over 300 were migrants who came to the city to settle down. The share of migrants in the capital’s population growth touched 33% – highest in 15 years. The city state’s booming services economy and its highest per capita income among states makes it the number 1 destination for migrants from every state from India. Delhi has emerged as the top destination for migrant workers joining India’s tech-enabled gig economy, pushing India’s startup capital Bengaluru to a distant second spot. The capital city added 560,600 people to its gig economy in the six months ended 31 March, an 88% jump from the 298,000 people it attracted in the first half of the last fiscal, data from human resource firm Team Lease Services shows. Meanwhile, the number of migrant workers joining Bengaluru’s gig economy rose a moderate 29% to around 252,300 in the second half from 194,400 in the last six months. The gig economy — characterized by contract, temporary employment and freelance workers — is ubiquitous all over the world, India included. Uber and Ola drivers, Swiggy and Zomato boys and their ilk are integral parts of urban living. It really doesn’t matter if they legally qualify as ‘workmen’ under Indian laws. Indian economy which is boomed by rapidly growing e-commerce industry and versatile tech startups like Swiggy and Zomato, and ride hailing firms Uber and Ola, thrives largely unregulated, even as drivers and delivery boys work with little job security and fewer benefits. R. Srinivasan, professor of strategy at the Indian Institute of Management, Bengaluru, said heightened migration and readily available job training at hyper local delivery companies had helped more migrant workers take up gig economy jobs. The normal minimum salary for a driver is 16k-17k per month. A private sector driver earns around 15k-18k every month. However Uber and Ola cab drivers makes around two to three thousand a day. Here also, higher earnings through the new gig routes make for far more ‘attractive’ cash flows than the government incentives – still confined majorly to the organised sector. “The speed at which you can convert a migrant into a skilled worker has gone up. In fact, we can see that Delhi has some 1.3 million Ola and Uber drivers. It took eight years for Ola and Uber to do this, while the entire Indian IT industry employs around 4 million people,” added Srinivasan. According to reports and data, around 13 lakhs Indians migrated to five cities — Delhi, Bengaluru, Hyderabad, Mumbai and Chennai in the last six months to 31 March 2019, Team Lease said, registering a 60% growth in migration compared to the six-month period ended 30 September 2018. Even as the two top political parties’ election manifestos have made space for the budding startup economy and its entrepreneurs, the gig economy, which has transformed how people dine and travel in big cities, has not done enough to protect the interests of gig economy work, said industry experts. Gig economy workers in India do not have access to insurance like their Western counterparts; this statement is true today, but is likely to change.It is great to see platform economy players offer insurance products through partnerships to their workforce; Ola and Uber together have roughly ~2 Million employees i.e. these schemes can impact the lives of at least 4 Million people. *Our employment laws and regulations expressly prohibit dual employment. Gig pro’s love handling dual/multiple contracts simultaneously. Drivers, toolers, machinists, servicemen will all run the gig way. The signs foretell a new storm is coming. And the imperative’s crystal clear picture — bridge the pay gaps; bring equity. Migrants support economies in cities around the world. It is important to recognize their contribution rather than see them as outsiders.